This is a PATTERN ONLY for a round crochet doily featuring pineapple design, made with cotton thread size ten (such as Aunt Lydia's) and a steel hook 1.5 mm. 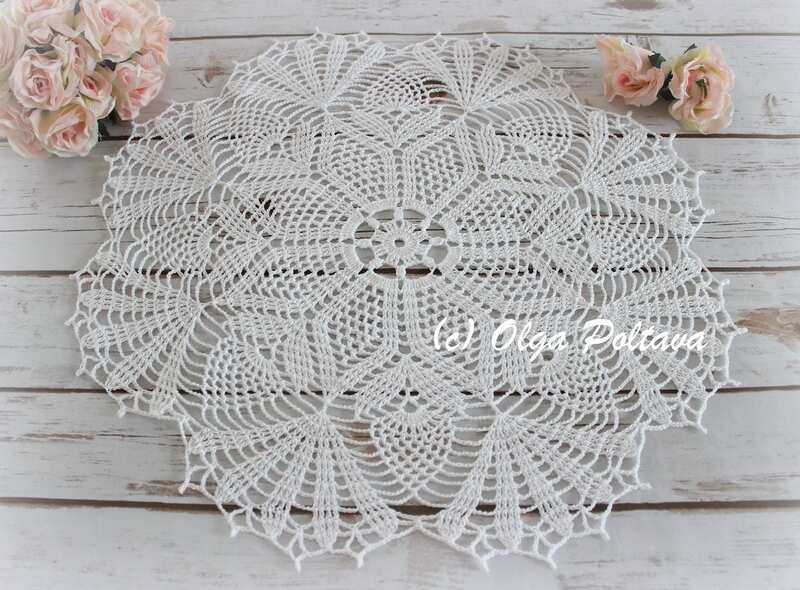 There are 29 rounds, and the finished doily measures about 17 inches in diameter (after blocking). The skill level is advanced beginner. It's not so much about difficult stitches (there aren't any really), but about being able to read each row very carefully and following the instructions. 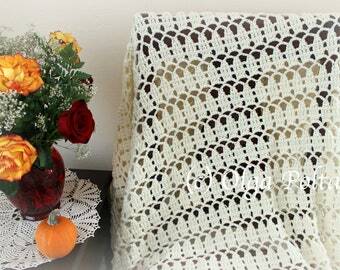 The pattern is written in English using US crochet terminology. Beautiful pattern! The pattern is well written and easy to follow. I love this unique deign.